So what happens if you feel like you belong nowhere… then find out you do belong somewhere… and that place should be impossible? There’s no such thing as magic or werewolves, especially only a few hundred miles north of Toronto, right? And what could be in Jesse’s missing past that would make him fit in there? Jesse’s been having a tough time at home with his adopted parents, and even life on the streets, with the one friend he trusts, has more appeal. During a particularly bad moment, he finds himself some way north of the city he lives in, and things just keep getting stranger from there: Haven, the village he stumbles over, is not only primarily pagan, but a substantial percentage of the population can do insane things. Like manipulating light into doorways linking places, or fixing injuries with a touch, or changing into wolves. The early part of his life has been a blank to him as long as he can remember, but the more time he spends in Haven, the more hints there are that a place like this is where he belongs. But how did he come to be alone several years before, with no memory? Is there unfinished business lurking in his past that can come back to haunt him in his new life? And how much danger are his Haven friends in because of him? Very much an Ugly Duckling tale. Only with fewer ducks. 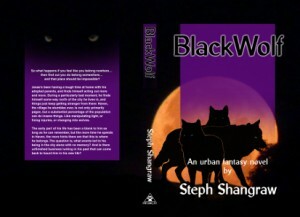 Find Yin-Yang on: Smashwords and various ebook software platforms! Don’t like signing up for things, or short on cash, or don’t see it at your preferred retailer? Download a pdf version right here! But please, if you do, give me something in return: feedback. Here, Goodreads, email me, whatever you like. If you share it with friends, ask them to do the same. Or read it right here – all you need is a browser! Print version via Lulu.com: still planned, but as of Jan 2018, a lower priority than getting new releases out.